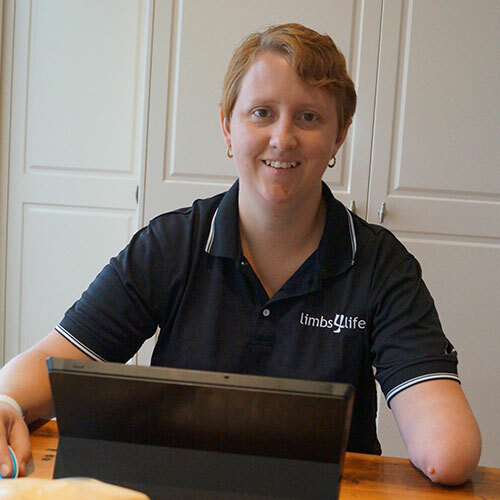 I became a Peer Support Volunteer because I hoped that my life and experiences as a person born with a congenital upper limb difference would enable me to support others with a limb difference and their families. Being able to understand what the person may be going through is such a valuable part of being a Peer Support Volunteer. I feel that I can share what it was like to grow up with a limb difference with families who have just learned that their child has an upper limb difference as well as assist young people who live with a limb difference. I think providing peer support helps to assist others by giving them someone to talk to who understands their situation and can give them hope for a bright future. As a Peer Support Volunteer I hope I am able to help young people with a limb difference to see their potential and offer support to their families and friends.